Here is a small skin pack consisting of 18 skins, which is added at the request of the player. If you also downloaded the Star Wars addon and want to change Steve's standard skin then this pack definitely suits you. There are skins of many creatures including protagonists and minor ones, there are even inhabitants of some planets. Skins are compatible with any version of Minecraft PE and work as original ones. Go to the settings and select one of the skins. 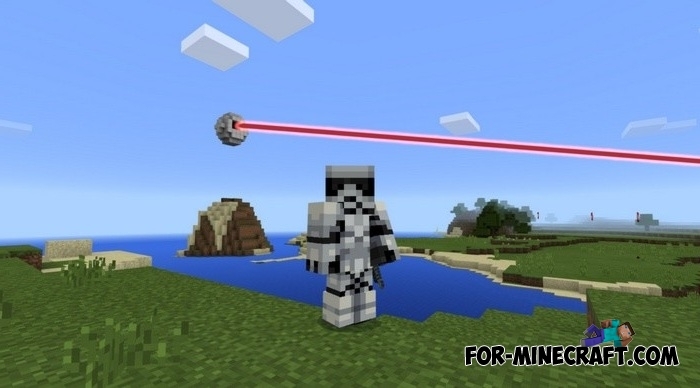 How to install the Star Wars Skin pack? 1. Download the archive and unzip. 2. Start the game and click on the skin. 3. Click the Add button and select the downloaded skin.